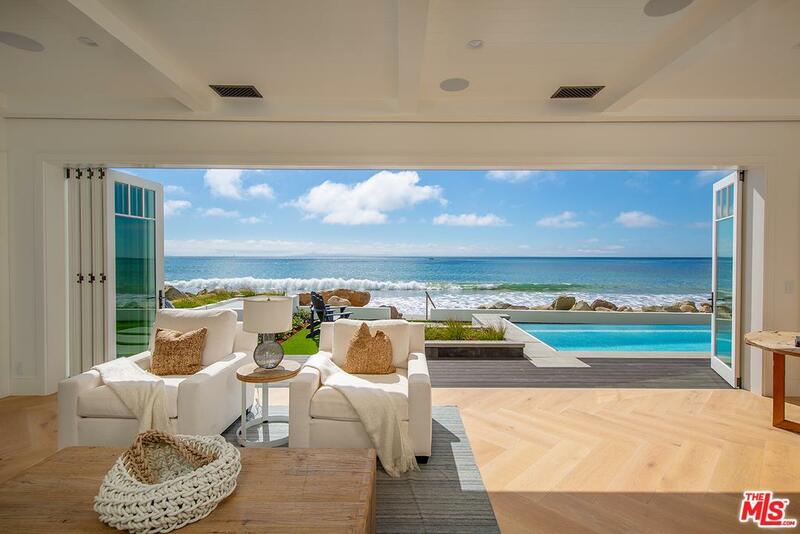 Oceanfront compound, designed in the style of the Hamptons, on the California coast. 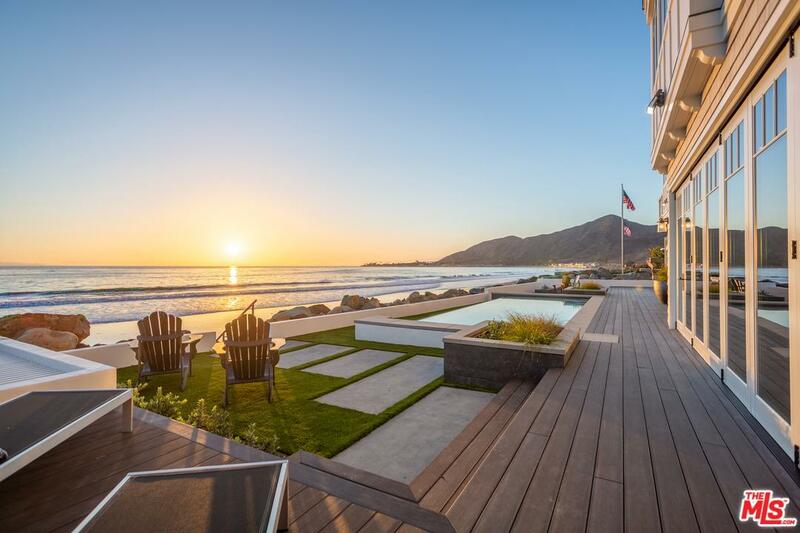 Unobstructed, private oceanfront home with 85 feet of ocean frontage. This brand new construction uses the latest technology and the finest finishes. Featuring five bedroom suites, six-and-a-half bathrooms, chef's kitchen, a formal dining room, attached guest home, theater room, two laundry facilities, four-car garage, abundant deck space with beachfront pool, a bar in the kitchen, and an outdoor fire pit. A truly unique opportunity located in the gated community of Solimar Colony situated between Santa Barbara and Los Angeles and close proximity to Camarillo Airport. Sold by Gary Cuoco BRE#01996491 of Re/Max Gold Coast-Beach Office. Listing provided courtesy of Robert Sandefer DRE#01996491 of The Agency and Mauricio Umansky CA DRE# 01222825 of .